practice skills and concepts to instill confidence and professionalism. All volunteers that join Teen Court must complete General Legal Training in full before serving as a member of a Peer Panel. 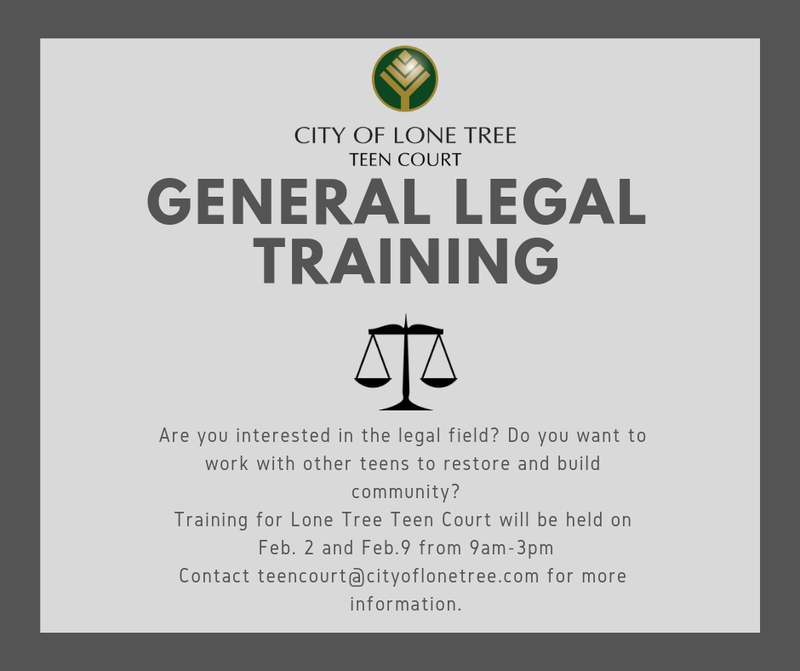 For more information, call 720-509-1265 or email teencourt@cityoflonetree.com.